Arlington, VA, April 3, 2014 – PBS KIDS has announced the launch of the all-new WILD KRATTS World Adventure App for iPhone, iPad and iPod touch, a science-focused app based on the popular animal-themed children’s series. 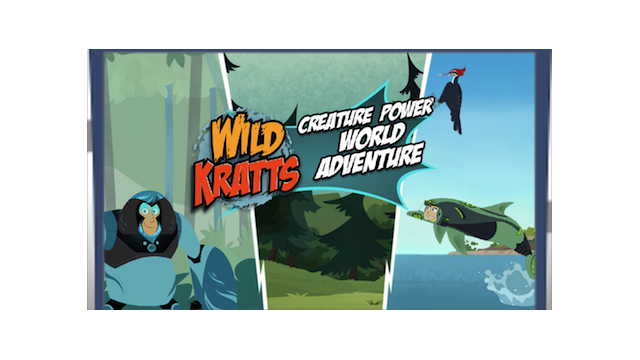 A must-have app for WILD KRATTS fans, World Adventure is now available only on the App Store, just in time for Earth Month and the start of WILD KRATTS’ third season on PBS KIDS. Through 30 levels of gameplay, WILD KRATTS World Adventure helps build key skills and encourages science inquiry. With the app, children ages 4 to 8 can tilt and tap their way through games that help them learn how different animals live and adapt to their habitats. Images of the WILD KRATTS World Adventure App can be found on PBS PressRoom.